Detalhes completos de cada uma dessas magníficas cabanas românticas de séculos de idade, com interiores soberbos, podem ser obtidas acessando o link da página principal na parte inferior desta página. Estas lindas casas de férias com classificação de 5 estrelas receberam excelentes críticas e são conhecidas por sua qualidade, limpeza e atenção aos detalhes. Escolha entre 3 maravilhosas propriedades - Wheatsheaf Cottage e Barley Cottage ambos têm 3 quartos, então cada um acomoda até 6 pessoas. A fazenda é um refúgio romântico para 2 ou família com 2 crianças pequenas, acomoda até 4 (2 adultos / 2 crianças). Vistas gloriosas, lençóis de melhor qualidade, edredons e almofadas hipoalergênicos, abundância de toalhas fofas brancas, queimador de madeira e fornecimento abundante livre de toras, aquecimento 24 horas e água quente. Cada casa tem um terraço com churrasqueira e um jardim cercado. Situado nas gloriosas colinas de Carmarthenshire, perto de Brecon Beacons e a menos de uma hora de algumas das mais espetaculares costas do País de Gales e das famosas praias de areia. Localização tranquila, vistas soberbas e liberdade para explorar a floresta, a encosta, os prados e as margens do nosso terreno com 100 acres. Visite pequenas cidades e vilarejos próximos, cachoeiras, lojas, a menor destilaria do Reino Unido, passeios de trem, casas de campo históricas, castelos românticos, jardins botânicos, parques campestres, vida selvagem, centro de papagaios vermelhos (ave de rapina). Return renters are always very welcome indeed and we have many that do return for further stays so we must be doing something right! 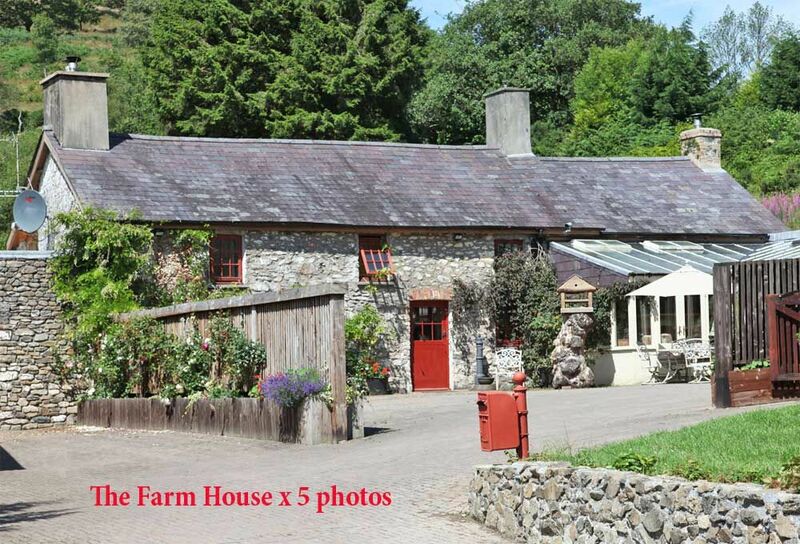 So pleased that you enjoyed your visit to Carmarthenshire, thank you so much for the recommendation. A lovely cottage, with a gorgeous private terrace. The property was well furnished and well equipped for our weekend stay- we had a fabulous time. We look forward to welcome you all back again in the future. Thanks for the great review. !!! !Simply Stunning will visit again!!!! Absolutely loved staying here. Stunning views and the beautiful property with georgeous features and lovely walks around the property as well. We hope to welcome you back soon to this spectacular part of the country and appreciate you taking the time to write your review. The cottage was very clean and comfortable with plenty of space and the views were breath taking. The only negative we could find was after travelling a long distance and arriving late there was no welcome pack which for us would have been very much appreciated. If we were to come again which we would love too if visiting the area again this is something that we would know in the future. We found plenty of interesting things to do while we were there, but there was a lot more we would loved to have done if we had had more time. We would love to thank Jenny & Bob for allowing us to stay at their wonderful cottage. Hope to visit again soon. We hope to welcome you back again soon. We don't presume to provide welcome packs as guests these days have such diverse preferences when it comes to food and drink, however you do have to drive through our small local town of Llandovery (just 10 minutes before arrival) and can always pick up a few essentials thereto suit your individual tastes. Also a couple of the supermarkets deliver via online grocery shopping so you can schedule a full complement of groceries to be delivered on your day of arrival. Many thanks for the lovely review, we look forward to welcoming you back again soon. The cottage is a beautiful conversion with beautiful decoration keeping with the property, set on a breath taking estate, really I am not one to say something unless it's true but there was nothing to complain about the site or staff working on the Estate 2 weeks of sheer bliss. Well, what a super review, thank you. You have summed up the ambiance we aim to create for our guests. It sounds as though we may well be welcoming you back again to stay in the future. Esta linda casa de carácter histórico de 5 estrelas com novo interior tem vistas gloriosas de grande alcance para os magníficos Brecon Beacons. Desfrute de 104 hectares de propriedade privada, com jardins, prados, bosques e colinas. Visite cachoeiras, parques naturais e castelos. Desfrute de campo passeios e piqueniques. Explorar próximas ouro romanas Minas e conduzir a trechos pacíficos e espetaculares da praia de areia branca na Rhossilli Bay ou Pembray praia, na famosa Gower Peninsular. Há uma abundância de informações na casa de campo sobre as atrações locais, restaurantes e lugares para visitar assim que se é de bicicleta ou moto de aluguel, atrações infantis, castelos, viagens de trem a vapor, praias, montanhas, lagos ou cachoeiras que você está procurando ou você só para descontrair e relaxar, venha a esta bela casa de desfrutar de uma estrela de férias verdadeiramente 5.